San Franciscan band Grass Widow doesn’t want to be known as a “girl group.” Though all three members are female, the trio insists on being thought of musicians first, and women second (or not at all). Fair enough. In an zeitgeist where such a group could definitely benefit from association with the “nu-girl group sound” (a la Best Coast, Dum Dum Girls, etc) it is admirable that the ladies of Grass Widow prefer to strike their own path. And it makes a great deal of sense that they feel this way too – since their sophomore effort Past Time sounds very little like any other “girl group” out there. While in Past Time Grass Widow incorporates a wide array of musical styles (pink, post punk, surf, psychedelia) their sound isn’t defined by a single one of them. Oftentimes the band seems to deliberately defy expectations by complimenting their punk inflected guitar chords with sensual string arrangements, or complicating their vocal harmonies with sharp and flat notes. Just when you think you are listening to a post-punk song, or a psychedelic song, etc – you get tripped up by the band’s unwillingness to follow a specific formula. “Shadow” is a perfect example, with its surfy drum patter and proggy guitar noodling bridge, not to mention the vocals which converge and diverge on a dime – almost always with one singer basically holding a monotone note while the others drift up, down and around it. 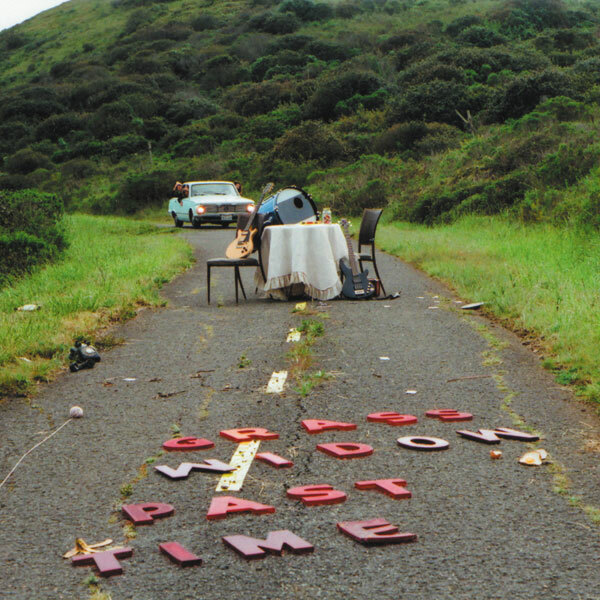 All of Past Time’s ten tracks resist easy categorization, with the most common thread running through them being the talented and virtuosic guitar/bass interaction. The overall sound though, as intricately arranged as it might be, never really seems to step up outside its comfort zone. If Past Time was a graph, it would fit neatly between two relatively close parameters. It would represent all kinds of really cool stuff in between those limits, but without ever really causing those boundaries to stretch or break. Case in point: once you begin to get familiar with the way the band does things, they don’t really throw you many curveballs, at least on a macro level. And if that sounds like a dis it shouldn’t. While Grass Widow may not be the most adventuresome with their sound, the aesthetic that they have nailed down they have nailed with a great deal of expertise. It’s to the band’s credit that they have, essentially, developed their own sound and are sticking to it. It’s a sound worth sticking to. Grass Widow will be playing on 9/21 at the Turf Club with Reviler local favorites Brute Heart and Mother of Fire opening, which should be one utterly fantastic show.